Vintage Style Fine Black Polish Ring !!! All Side Vintage Antique Style Engraving With Milgrain !! Two Side Heart Designs !! Center Black Diamond Is 1.05 Carat !! Very Deep Black Color And Clean Diamond !! Side 18 White Diamonds Are 0.18 Carat SI1 G Color !!! 10 AAA Black Diamonds are 0.10 Carat !!! Bright White Color And Clean Diamonds !!!! Full Pave Set With Milgrain !! Ring Size Is 6 Free Sizing Available !!! Diamond Wedding Band Too !!! RETAIL PRICE IS OVER $4,000.00 !!! COMES WITH $3,750.00 CERTIFIED APPRAISAL !!! HANDCRAFTED IN THE USA !!!!!!! Thank you for taking the time to view my store! All items are painstakingly handcrafted by me at my shop; located right at the heart of the New York City diamond district. The unparalleled jewelry designs I fashion are the product of over two decades of experience; which I earned alongside the world's most prestigious jewelry makers starting when I was twelve years old. When it comes to my craft, I am committed to use only hand-selected diamonds and high quality fine metals; to bring them together with uncompromised attention to every detail, from the optimal position of each diamond within the item to the symmetry and consistency of its patterns. Notwithstanding the superior quality of my jewelry items, I also manage to make them unusually affordable; be assured that you will not find this uncommon combination of value and price anywhere else be it the internet or a retail store. When you purchase one of my items, you can be assured that the jewelry has been meticulously crafted, thoroughly inspected and proudly approved by somebody who believes absolute perfection is the only way to craft jewelry by hand that will last for generations to come. One of the questions I'm asked repeatedly is whether the blue center diamonds featured in some of my items are authentic. The short answer is and emphatic YES. All of my diamonds are 100% natural mined diamonds. Nevertheless, naturally occurring coloration is very rare with intense blue being one of the rarest varieties as it is the case with the world-renown "heart of the sea" diamond featured in the movie TITANIC. Due to their extremely rare nature, natural blue diamonds can fetch OVER ONE MILLION DOLLARS (USD 1,000,000.00) PER 1.00 CARAT at auction! Notwithstanding, technology offers a less expensive alternative way to turn natural diamonds to the beautiful blue color that youin my items. This coloration process is not only avant-garde and difficult but is also GUARANTEED TO BE PERMANENT. Complimentary, Free insured shipping is available to the U.S., Canada and all-around-the-world to PAYPAL confirmed addresses (only). However, please note that if your country imposes additional tariffs, custom fees, duties, taxes or any other charge/s to the value of the shipment, the buyer (you) will be responsible to comply with the laws of your country and pay for those fees. Take a moment to determine whether your country charges additional fees for the right to import jewelry and diamonds from the U.S. I guarantee your complete satisfaction with a 14 day money-back return policy which begins the day you receive the item. If you wish to make a return, please return the item to my business address. Items must be returned in the same exact condition as shipped with original packaging and Cert appraisal. DREAM IT ... I'LL MAKE IT!!! SPECIAL ORDERS WELCOME. Ok I get it; you want what you want and don't want to be constrained by the limitations of premade jewelry however well put together it may be. Perhaps you just want to change the diamonds or gold color of an existing item; maybe you want platinum instead of gold, or 14K instead of 18K. Congratulations, Today is your day! All of my items can be customized to match your wishes. How about me creating your own, unique jewelry piece "from scratch" based only on your theme or vision? Whether you want me to craft a jewelry piece you saw in a dream or re-create an endeared item you no longer have, you are in the right place and I am the right craftsman for the job. Let's talk! Tell me your ideas; I am always enthusiastic about creating unique jewelry items. I assure you that the results of my skilled hands implementing your own design will culminate in a breathtaking, one-of-a-kind masterpiece. Black Diamond Engagement Rings, Blue Diamonds Engagement Rings, Fancy Champagne Diamond Engagement Rings, Green Diamond Engagement Rings, Ruby Engagement Rings, Sapphire Engagement Rings, Aquamarine Engagement Rings, Anniversary Rings, Unique Wedding Bands, Eternity Diamond Wedding Rings, Garnet Rings, Vintage Engagement Rings, Halo Micro Pave and Black Gold Rings. Handcrafted in the USA !! 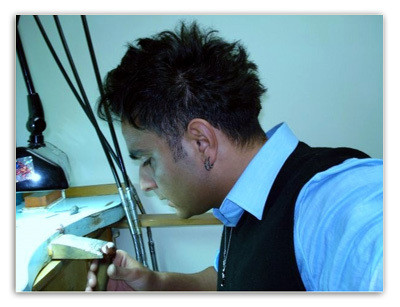 Custom Made Fine Jewelry with Over 30 Years of Experience! Quality Workmanship, Fast Service. Best Fine Jewelry Sold at Low Cost! All Jewelry Done at Premises With Lowest Price in Manhattan! Voted Top Rated Plus Seller on Ebay!! !